Management at Winsport says interest in ski jumping is waning and it can't afford to repair and manage the legacy facilities. 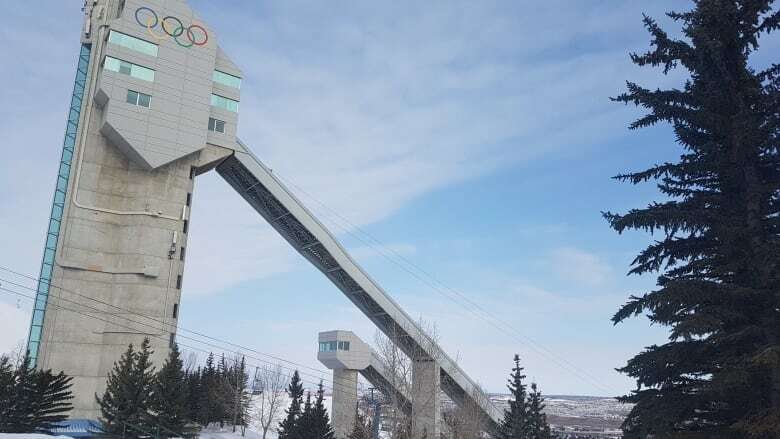 Calgary's ski jumps are "falling apart" and won't be functional for any Olympics held in this city again, says the man in charge of managing them. The five jumps are now 30 years old, built for the 1988 Olympics. The three smaller ones still being used are set to be decommissioned this fall, while the other two have already been shut down. They stand on the northwest skyline along the border of Canada Olympic Park, iconic and hard-to-miss reminders of the games and their legacy. But instead of encouraging new athletes to take up the sport, management at Winsport says interest is waning. The cost of upgrades can't be covered by fees, venue manager Mike Tanner says. "They are falling apart. If you were to walk around the small ski jump site, you would see that the judge's towers are falling apart, the stairs are falling apart," he said. "There's a whole scale from minor repairs to re-profiling the jumps to make them meet modern standards." The Calgary Eyeopener examines several legacy Olympic venues in a series this week. Winsport's position is that maintaining the jumps costs too much — roughly $500,000 a year — and that the jumps serve a dwindling population. The organization hasn't crunched the numbers on what it would cost to rebuild the largest jump and bring the others up to Olympic standards because the facilities aren't going to be part of the bid. 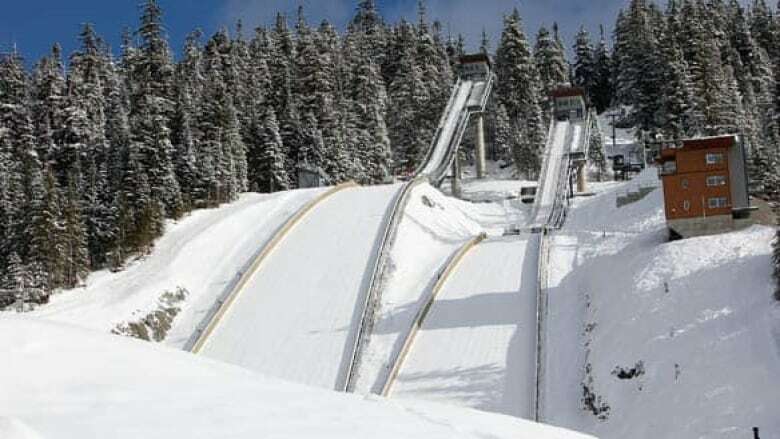 The International Olympic Committee has recommended that ski jumping events be held in British Columbia's Whistler facility, built for the 2010 Winter Games. Those jumps are still in use. A preliminary report by Calgary's Olympic bid exploration committee also noted extensive issues with the Winsport site. 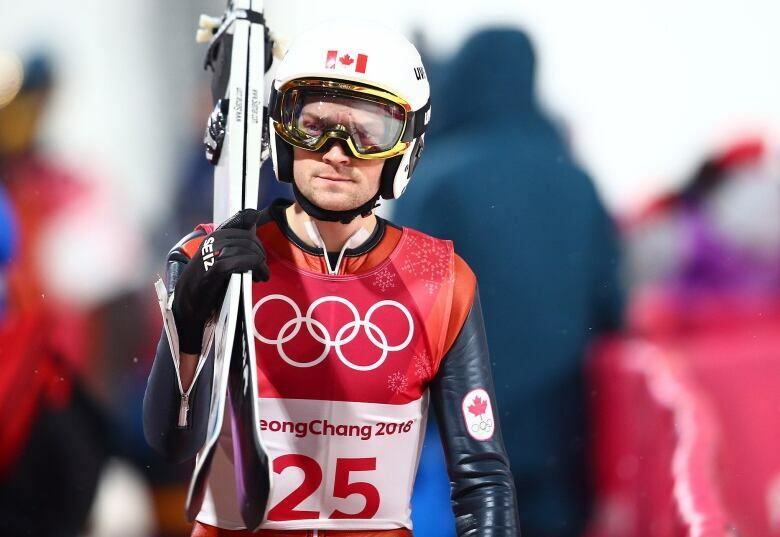 "It's really the cost of rebuilding these ski jumps to Olympic standards, and during discussions with the IOC, they're trying to reduce costs for Olympic Games preparations," Tanner said. "They've recommended using the jumps that already exist [in B.C.]." Advocates for the sport are disheartened and upset by the decision, and say the closure of the jumps spells the end of the sport in this country. Once Winsport's jumps close, only Whistler will remain. But that facility doesn't have the key mid-sized 60-metre jump, which coaches say is necessary to train budding athletes. Whistler also doesn't have a special brush surfacing that allows athletes to train year-round, even when there's no snow on the ground. That's why Winsport, despite the aging facilities, remained central to training for the sport for so long. 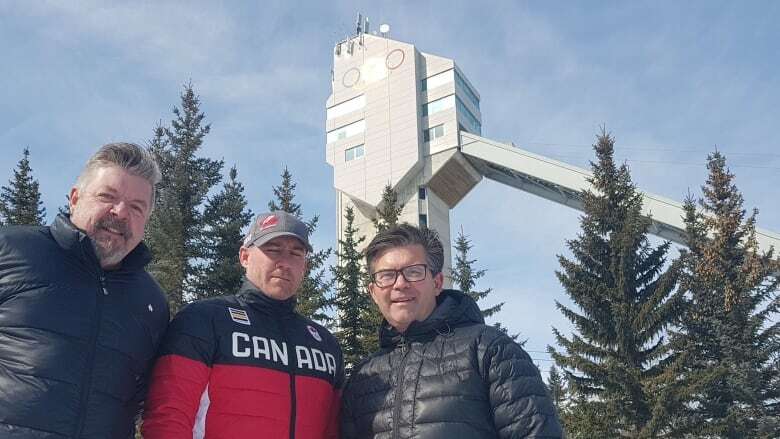 "To see this torn down, to me is just a shameful disregard for the proud legacy that we built here," Alberta Ski Jump chair Mike Bodnarchuk said. "And it's the death knell for Ski Jumping Canada if they shut this place down." 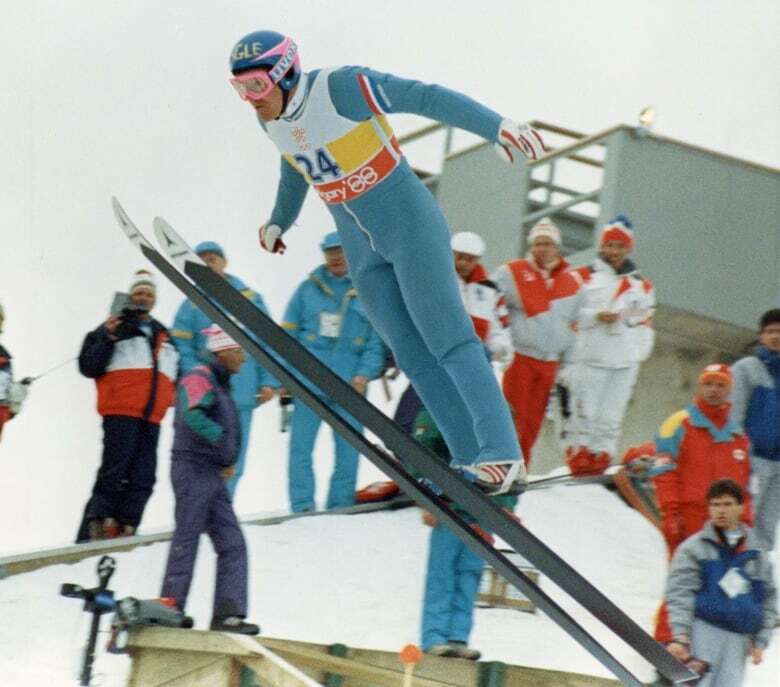 Ski jump associations like Bodnarchuk's have questioned Winsport's financial argument, saying they believe the site could be maintained for less money or that new funding could be found. Three years ago, the Canada Olympic Foundation gave $225,000 to keep the jumps open so athletes could train for the Pyeongchang Olympics. Winsport agreed to the timeline, but now that's over. Other sports have also gotten the axe at Winsport in recent years, including cross country skiing and biathlon in 2016. A more profitable tubing park was added instead. "I would suggest that Winsport revisit the whole purpose of [why] they were created in the first place. Canada Olympic Park was established as a home for high-performance sports," Bodnarchuk said. "There are some sports that are never going to be money makers. 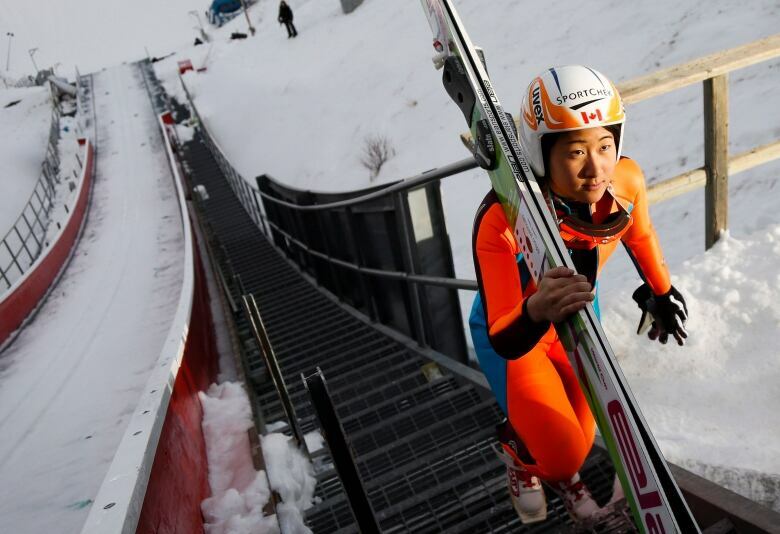 Ski jumping is never going to be a money maker, it was never designed to be a money maker. This is a legacy sport." All the ski jumps, except the largest, will be torn down, Winsport said. The largest will remain because it is iconic, used for zipline rides in the summer and has telecommunications equipment mounted on top of it. How the rest of the space will be used has yet to be determined, except that it will be used for sports and not storage. One of the ideas floated was to add a larger big air park for skiers and snowboarders. So as it stands, if a bid goes ahead and Calgary secures the 2026 Winter Games, ski jumping won't be hosted n Calgary. And regardless of where the Olympics are held, the sport's advocates warn Canada may have no athletes on the jumps, let alone the podium. ​​With files from the Calgary Eyeopener.